This is my third year doing Project Life and in 2014 I will get a whole year done! 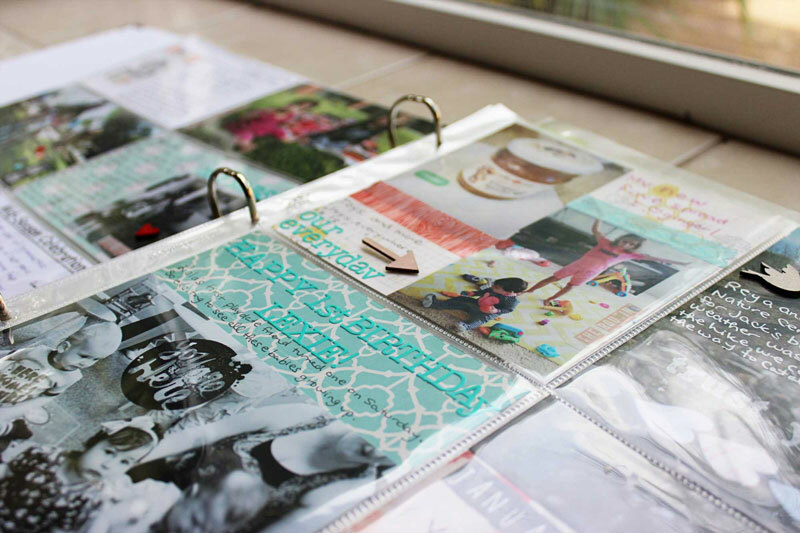 I’m sharing each Project Life spread here at Heartmix to add some accountability and, hopefully, to give you some inspiration for your own photo projects. My second Project Life spread covers from January 18th to the end of the month. At the beginning of the year I put a variety of Project Life page protectors into the album. For this spread I just used what came up next. With the 4-6×6 page protector it felt like I was making mini layouts which was fun but more time consuming. After seeing my completed spread I think I’ll be adjusting my use of pocket pages to better match my photos and save these larger page protectors for events, artwork or something else. I’m really liking the scrap as you go method for Project Life. In this spread I used more sequins, stickers and some wood veneers. I need to find a better adhesive solution for the plastic because Glossy Accents, my usual go-to for dimensional embellishments, is just not cutting it. My Martha Stewart Glue Pen, that I used on the sequins, is holding up very well. I’m gonna ask in some forums to see what others use to adhere embellishments outside the Project Life pocket pages. I have not figured out a solution for printing square photos directly from my phone so I’m still printing those from my Mac. Definitely slows down the process so I need to do some research to see if there is a way to do this. In addition to wood veneers (I’m loving arrows right now), I added some washi tape and the kal barteski stamp from the Studio Calico Marks & Co Project Life kit. Stazon ink is the best for stamping directly onto photos or any other nonporous surfaces like plastic and even glass. I’ve also decided to bookend my photos by month so I added a January highlights card. One new thing I’ve started is keeping some extra Project Life cards in my planner or purse (my 2014 planner should arrive this week from Emily Ley!). 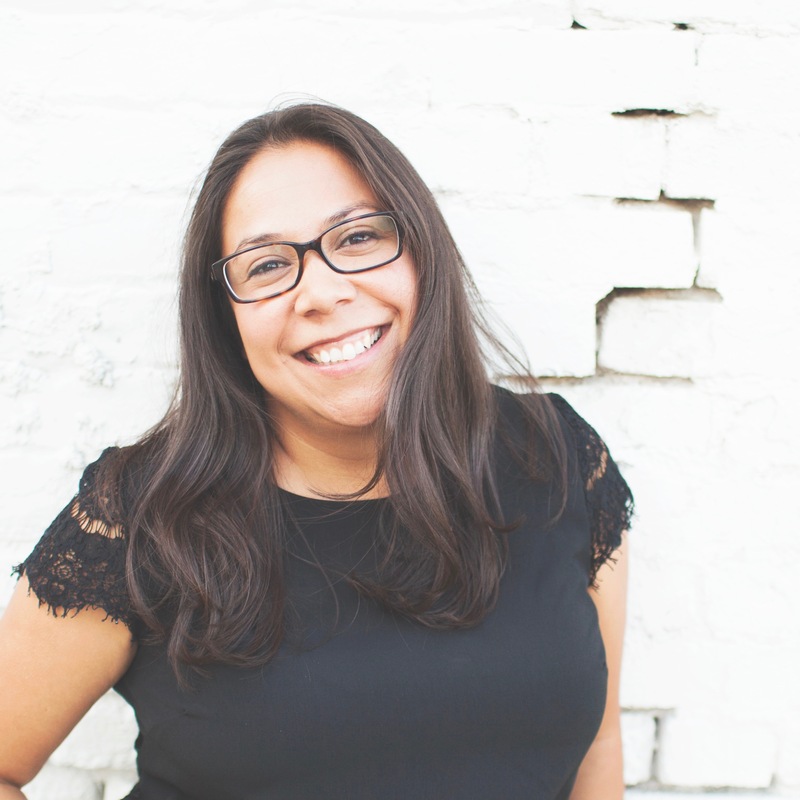 I usually have some down time when I’m waiting in the pickup line or when baby falls asleep in the car and I’m just sitting there for fear of waking her up (do all moms do this or is it just me?). 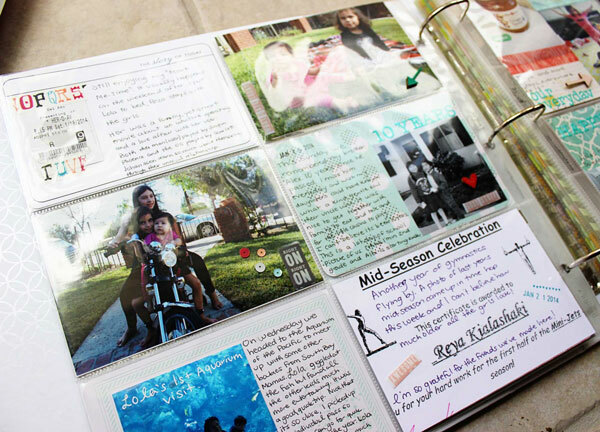 Now that I have cards with me I can use this time for journaling stories I want to add to my Project Life album. So January is in the books (or is it the album?) and I’m excited to start documenting the month of February. Have you started Project Life or any other photo projects this year? Let us know or link up in the comments. We’d love to see what you’re working on! I always have a hard time with the 6×6 page protectors! Thanks for sharing what you used for the sequins! I just started using them and was using glue dots but that adds bulk. Thanks for reading Katie! What are you using for other embellishments? The glue dots I have are too big for small wood veneers.